Contact Center Solutions was chock-full of excitement this week. CXone had the Summer 2017 unveiling while Twilio Studios introduced a new app. Along with that, NICE inContact named its newest DEVone member and you can find out all about it right here in the Week in Review. It started out with NICE inContact unveiling its CXone Summer 2017 release. Included in that was a cloud-powered workforce optimization tools, coupled with automation, analytics, omnichannel routing and artificial intelligence. 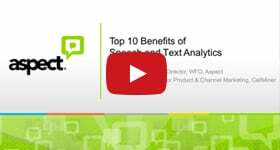 New to the CXone Summer 2017 is the user interface, which empowers users to customize text analysis by term. To read the complete article about the unveiling, just click here. Following this release, Twilio introduced an app that will allow customers to create customer service solutions, sans coding. That is a big deal in the business world. “Twilio APIs have long helped software developers build communications workflows into business applications,” the company shared. You can read the full article about what Twilio has in mind and in store by clicking right here. Finally, NICE inContact announced its newest addition: Intradiem. “To streamline contact center operations, companies need real-time data. Intraday automation and workforce optimization enhancements help them achieve real improvements that help them meet their business goals. We welcome Intradiem as part of the CXexchange marketplace,” said Paul Jarman, CEO of inContact. This new implementation is aimed at saving call centers money so what could be better than that? To read the whole article, click here. That is all we have for Contact Center Solutions for this week but check back with us next week for more exciting news and announcements!